The RogerEbert.com pick for the Best Adapted Screenplay of 2015. 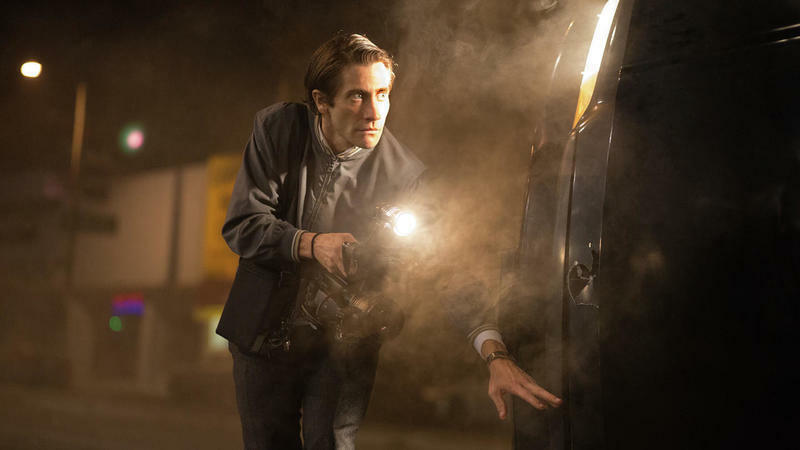 Video Interviews: Jake Gyllenhaal & Rene Russo on "Nightcrawler"
An interview with the stars of "Nightcrawler," Jake Gyllenhaal & Rene Russo. A report from the Toronto International Film Festival on "Nightcrawler," "Clouds of Sils Maria," "Bird People," "The Tale of Princess Kaguya," and "The Dead Lands". What it means to craft "personal" writing; Steven Soderbergh pledges $10,000 to Spike Lee's Kickstarter film; inside the Malick lawsuit; revisiting "There Will Be Blood." Dillon Freasier (great!) and Daniel Day Lewis (... BIG!) in "There Will Be Blood." "By a wide margin, LAFCA felt... that 'There Will Be Blood' was the best American film of the year. That's all. No chess work, no calculations, no triangulation -- nothing but a matter of taste based on seeing more movies over the year than anybody else. "And Jeff, the group judgement was based -- with perhaps no exceptions, since there was simply no time for most or all of us to view it more than once -- on a single viewing of 'TWBB.' It's a great movie on the first viewing." PICTURE: "There Will Be Blood" RUNNER-UP: "The Diving Bell and the Butterfly"
DIRECTOR: Paul Thomas Anderson, "There Will Be Blood" RUNNER-UP: Julian Schnabel, "The Diving Bell and the Butterfly"
ACTOR: Daniel Day-Lewis, "There Will Be Blood" RUNNER-UP: Frank Langella, "Starting Out in the Evening"
ACTRESS: Marion Cotillard, "La Vie en rose" RUNNER-UP: Anamaria Marinca, "4 Months, 3 Weeks and 2 Days"
SUPPORTING ACTOR: Vlad Ivanov, "4 Months, 3 Weeks and 2 Days" RUNNER-UP: Hal Holbrook, "Into the Wild"
SUPPORTING ACTRESS: Amy Ryan, "Gone Baby Gone" and "Before the Devil Knows You’re Dead" RUNNER-UP: Cate Blanchett, "I’m Not There"